There have been significant developments in this project in recent weeks and we hope to begin tooling very soon. The model was to have been produced by Rapido Trains, but they are no longer able to produce it for us. We are now finalising arrangements with another manufacturer and once these negotiations are concluded we will be ready to move forward. We are sad Rapido are no longer in a position to make this model but the model is very marginal for them financially and we accept this. We would like to publicly thank them for the excellent work they have done on the CAD design and their ongoing help and support. If you’re interested in one or more of these useful units – ideal in London Midland for running alongside your Revolution Trains Pendolinos or Class 92s – please order now. To make it easier we are offering the option of ordering the 320/321 with a deposit option. Introduced between 1989 and 1990, the 4-car Class 321 units operate on fast suburban services in Northern England and on WCML, ECML and GE services from London. The 3-car Class 320s are to virtually the same design and are in service in Scotland. The Class 320 and 321 family is arguably the archetypal Mk3 based multiple unit. Examples have seen service in large areas of England and Scotland and in numerous liveries. We are also considering the similar 2-car Class 456, however this would require a little additional tooling to make an accurate model. Scotland’s Class 320 units have standard class seating only. They have carried Strathclyde original orange/black, Stratchlyde carmine and cream and Scotrail colours. Introduced initially in Network South East colours, the Class 321 units have carried numerous liveries including Silverlink, Great Eastern, London Midland, Northern and Abellio. Some are now operating in Scotland with Scotrail. According to interest already expressed we know we will be producing the Class 321 in London Midland, Network South East and First colours, and the Class 320 in Scotrail “Saltire” colours. 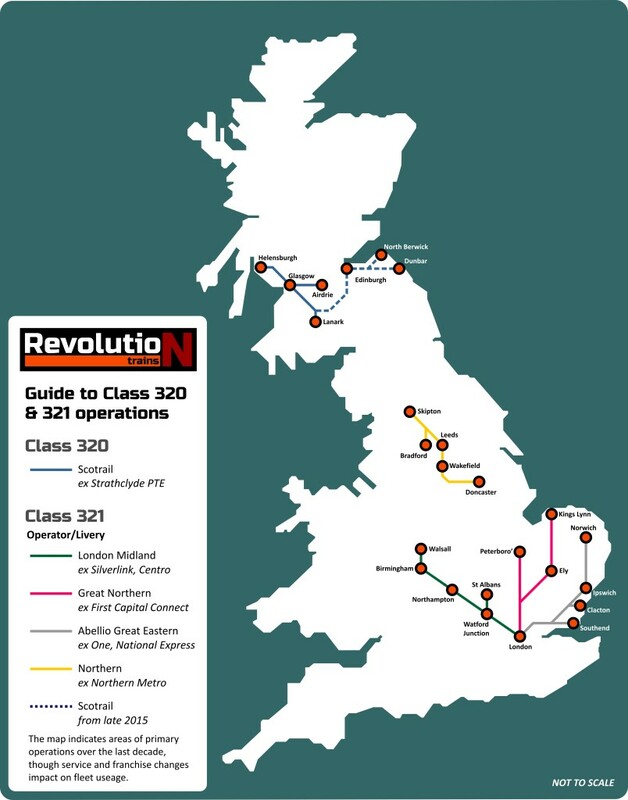 London Midland and Silverlink versions are ideal for running alongside your Revolution Class 390 Pendolino models; see here or here, or your Revolution Class 92 and Farish 350s here. 3D CADs are now complete and approved, but we need more orders to turn these superb drawings into solid models. All cars will have full interiors, with a low-profile motor and drivetrain in the power car. We are hoping to be able to offer other liveries too such as Silverlink and Strathclyde PTE orange black depending on order levels. Producing this model will also make certain areas – such as the southern stretch of the WCML or suburban lines out of Glasgow – a realistic proposition for N Gauge modellers for the first time. The model will be produced by Rapido. 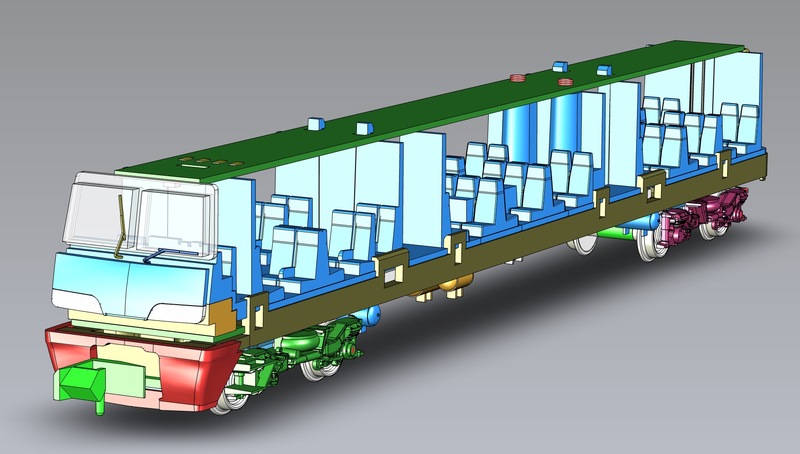 Our model will feature working lights, close coupling, detailed interior, realistic pantograph and be available with optional DCC Sound and produced with the co-operation of Eversholt Rail, who own the units. Thanks to everyone who has supported this project so far, we are still very keen to get it off the ground.